(Short delay. On saving this document with today’s date, I realise it is our wedding anniversary. This recognition prompts me to take my card (brand new one this year) and flowers upstairs to a sleeping Jacqui. TIP for husbands with small wives. Don’t seal the card; after one week place the card with its envelope on top of the wardrobe; after five years you have the full set so you can start reusing them). So tomorrow when there is no ParkRun in Ormskirk (Edge Hill are using the trail) most of us will be going to the ParkRun in Crosby, to the Leisure centre at the shore end of Mariners Road. 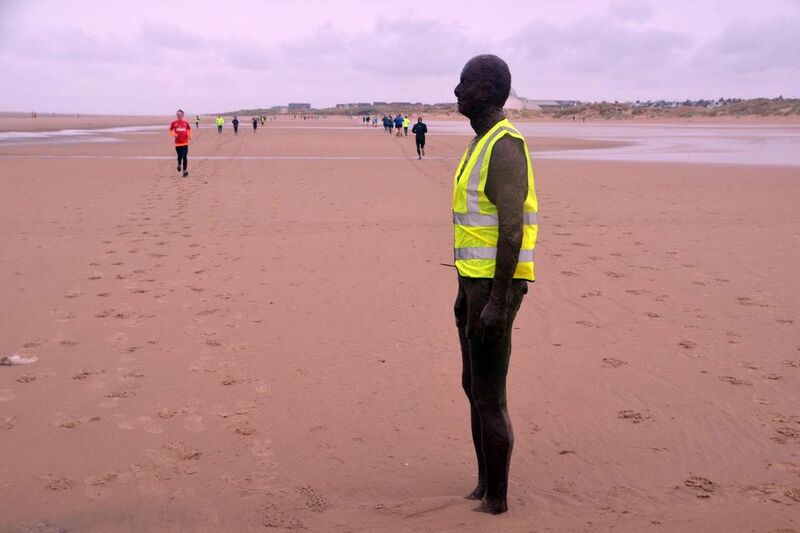 This is going to be a poignant moment for me – for the final part of the course, on the shore itself and around one of Antony’s iron men is the exact site of my first race from St Nicholas’ school, way back in July 1958 (Not often I write that date). And a thousand or so races later, here I am again, at the very beginning. Except in those days it was open shore and we ran around the landmark. I can still remember this race in some detail. I would have won if I had not taken it so casually. Lesson: TRY. Then next weekend I find myself at my college ten-yearly reunion for the class of 1967. 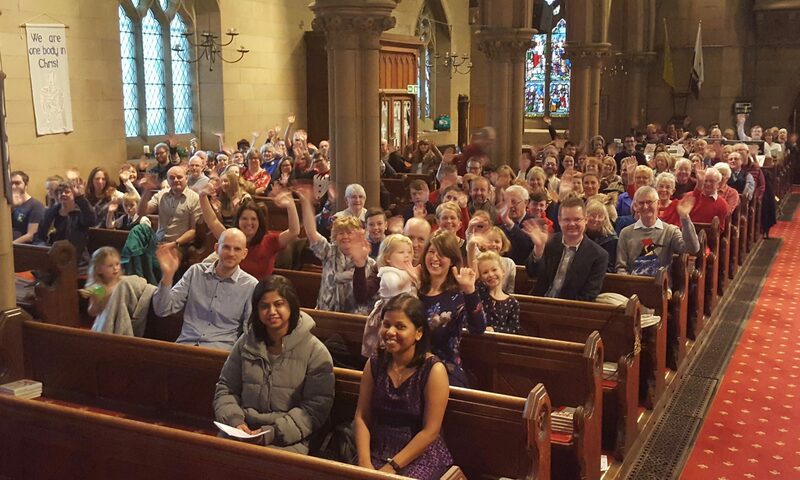 It so happens that this is the 40th anniversary of my ordination and in a strange way it is fitting that on the Sunday I shall be worshipping in the very same chapel where God led me into the Church of England. And here several thousand services later, here I am again. I can still remember my first service at Catz. The visiting preacher was Maurice Wood, who was to become a much-loved Bishop of Norwich and father-in-law to one of my clerical colleagues. He spoke on his experiences on being an army chaplain on Sword beach on D-day, in those days a recent memory. Lesson: serving Jesus is both exhilarating and not a little dangerous. Our roots are important. They define who we are today. I always thought it strange that when Jesus was raised from the dead, he expected his disciples to go to Galilee. So the angel’s message: “But go, tell his disciples and Peter that he is going ahead of you to Galilee; there you will see him, just as he told you.” (Mark 16:7). So while the disciples did encounter the risen Jesus in the upper room in Jerusalem, nevertheless they had to make the long trek north. That’s 120 miles for the scenic rootroute, even direct through Samaria is 90 miles. Why the investment? So that they could return to their roots, where they first encountered Jesus and received his original call to follow him. “So Jesus is taking them back, back to the beginning. It’s recorded for us most vividly by John, the youngest disciple, the only one of the gospel writers who was actually there – John who many years later would begin his gospel with precisely those words: In the beginning. So there are times for going back, to ponder our roots, to relive our original calling. The Hebrew prophets continually urged the people of God to relive their escape from Egypt, their wandering in the wilderness, their crossing of the Jordan into the land promised to them by God. So Isaiah speaks God’s word to his people “Listen to me, you that pursue righteousness, you that seek the Lord. Look to the rock from which you were hewn, and to the quarry from which you were dug.” (Isaiah 51:1). Not as an exercise in nostalgia but as a means of preparing for service today. For we can so easily lose our way and forget how far we may have drifted. Previous PostPrevious "Where to sit – our decision can change a life"
Next PostNext Think before you send.